Unless you ration your usage like water on a lifeboat (or you're one of those bulky battery case users...gross) you're probably like us: watching your battery go from green in the morning to yellow by lunch to red before you've even called out for Pad Thai (with shrimp, extra spicy, thank you). Until phones can handle a day of normal use without dying, there's the Kodiak Mini 2.0 Power Bank. Unless you ration your usage like water on a lifeboat (or you&apos;re one of those bulky battery case users...gross) you&apos;re probably like us: watching your battery go from green in the morning to yellow by lunch to red before you&apos;ve even called out for Pad Thai (with shrimp, extra spicy, thank you). Until phones can handle a day of normal use without dying, there&apos;s the Kodiak Mini 2.0 Power Bank. It puts extra charging power within reach - in fact, right in your pocket - in an ultra-pocketable, rugged format that hides in your hand and takes a beating better than a Hollywood stunt double. Waterproof (IPX7) with the lid closed and water resistant (IPX6) with the lid open - dustproof, shockproof, and functional down to -4 degrees F, the Kodiak Mini 2.0 isn&apos;t just here to save your social life; it could, in theory, save your actual life in an emergency (like maybe allowing you to make a phone call). And since emergencies come in all sizes, from "OMG how many likes am I getting?!?" to "How long do you think until they send Search and Rescue to look for us?" we&apos;re sure you&apos;ll find it handy. 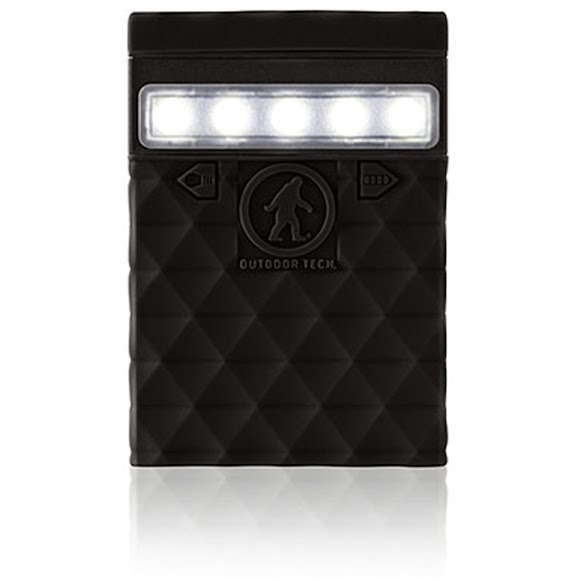 In the event of a real crisis, like misplacing the bag of marshmallow&apos;s when it&apos;s time for S&apos;mores, you&apos;ll also appreciate the included 5-LED flashlight with its 100-lumen High, 65-lumen Low, and flashy, "Over here guys!" Emergency Strobe modes. Dimensions 3.16" x 2.2" x 0.6"